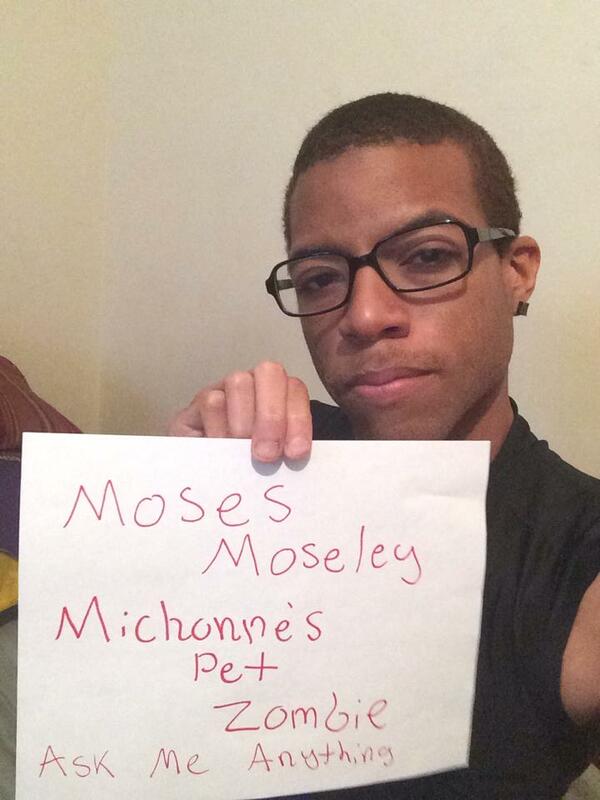 From the walking dead this Moses J. Moseley one of Michonnes Pet Zombies. Ask me anything. Hey guys I have to go but thank you all for your questions and support you are all awesome. Thank you. Hello Reddit this is Moses J. Moseley. 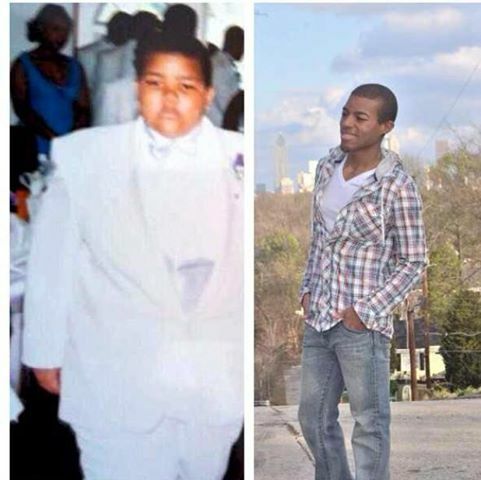 I act, model, and do public speaking against obesity. I've been in the industry for about 3 years now and have had featured parts in movies and shows such as "42", Necessary Roughness, Second Generation Wayne's, Single Ladies, Joyful Noise and many more and what I'm best known for is playing one of Michonnes Pet zombies in the smash hit The Walking Dead. But industry aside I'm a down to Earth guy and an ex " un " fat boy lol so I'm definitely not stuck up. Feel free to ask me anything. Hey! My son thought you and the other one of Michonnes zombies were the coolest things....him and his brother even dressed up as them for halloween!! How was working with Danai? Was she nice or badass or rude? And how long did your makeup take? How was it working with Danai Gurira? Have you formed a dead character's society with anyone else who "died" on the show? Did you make friends with your pet zombie counterpart? What do you enjoy to eat when you aren't eating flesh? Thanks so much for doing an AMA! Thank you and I actually didn't know about the show until after I got casted for it but once I did my part I looked back at the previous seasons and instantly got hooked lol and I talked with a lot of the cast and found them all amazing and awesome to work with. Hey man, how did you get chosen for the role? Were you confronted or did you go to them to audition? I submitted my photos and got called out to audition. how long does it take to put on the walker makup and costume and how did you get chosen to be the walker? What training did you have to go through? Who was your favorite actor to work with? what does public speaking against obesity entail? Going to different schools and events enlightening people about eating healthy and being contentious. Did you have to train in Greg Nicotero's "zombie school"? If so, how was it?? Hello, has anyone ever recognized you on the street of your performance on the walking dead? Do you have a zombie apocalypse plan? What would be your go to weapon? Did you ever get turned on being chained up and pulled around by that foxy lady? Besides The Walking Dead, what is your favorite show, and what is another show you'd love to work on? BTW, Danai is very hot. You are a lucky man! Hey Moses! The Michonne reveal at the end of season 2 was awesome. What did you do for fun while you waited to be part of season 3? Hi Moses! What type of workout routine and diet do you maintain to stay healthy, not just for general purposes, but for your acting career? Also, did you get to meet most of the cast while working on TWD, and do you still stay in touch with any of them? Hey there! So what was it like when you heard you got the part? Were you aware of the zombie character you'd be playing (and the significance) beforehand? Shoutout from /r/TrueWalkingDead and /r/TheWalkingDead! What was it like auditioning? Did your agent say 'theres a gig here where you get chained up and walked about...oh and you're a zombie, you in?' . Or did you do any script readings etc? It was kind of interesting because I never auditioned for anything where I wasn't talking lol but it was a lot of fun and I basically got a phone call telling me my responsibilities and what all I was required to do but I loved it. If a zombie apocalypse did ever happen, how long do you think you'd survive? Hey, how did you start your career? And also, what are you planning on doing this Christmas? How did u like the set and cast?